Uses : It is diuretic, emollient and cooling. Used in inflammatory conditions of mucous membrane of gastro intestinal and genitourinary tracts. Very well known as a laxative. It restores proper bowel movements and used in treatment of chronic constipation, amoebic and bucillary dysentery. 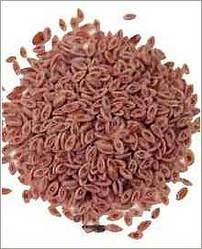 Psyllium husk and seeds are formal Pharmacopoeia. Crushed seeds made into a poultice are applied to rheumatic and glandular swellings. The seed mucilage is used in cosmetics and as a basic stabilizer in ice cream industry.